Even the best-laid travel plans require adaptability. 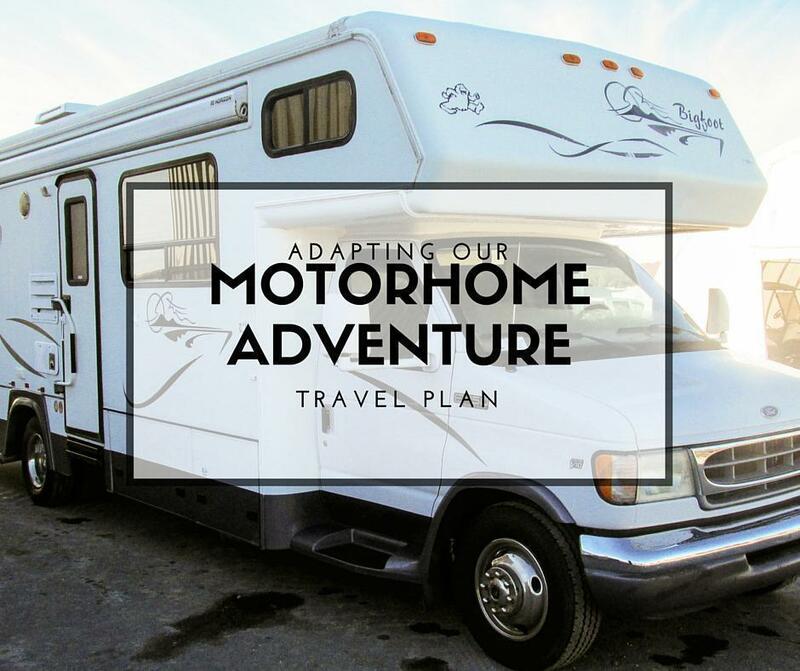 We’re adjusting our motorhome adventure to cope with a tough family issue in Canada. Way back in October of 2014, I wrote how we’ve learned life necessitates adaptability – time and time again. Back then, we were in the planning stages of our motorhome adventure. Our proposed leave date of May of 2016 seemed like a lifetime away. As you all know, Andrew being laid off from his job caused us to change gears. As I said at the time: “We adapted. We amended. We adjusted.” We accelerated our plans by a year and somehow managed to pull everything off in a few short months. It was stressful, exhausting, and, at times, we thought impossible, but we did it. As our regular readers and newsletter subscribers will also know, we’ve been back in Canada since last August when we learned of my father’s cancer diagnosis. We committed to spending the winter helping my parents however we could with the thought of re-evaluating the situation in the spring. While we were happy to be here for my parents, our lives felt in limbo. Our motorhome and our cats were still in Spain and we had no clarity on where we would be or what we would be doing come spring. In February and March, we needed to make some tough decisions. We spent a lot of time talking over the options together and with my family. In the end, the decision was pretty clear – we need to be here with my parents. We needed to stop trying to live with one foot in Canada and one foot in Europe as it was preventing us from moving forward in either place. As you read this post, we are making our way back to Spain to empty our motorhome, Amelia, and put her up for sale. We’ll be returning to Canada in two weeks with our kitties as carry-on. But our motorhome adventure isn’t over. We adapted. We amended. We adjusted. 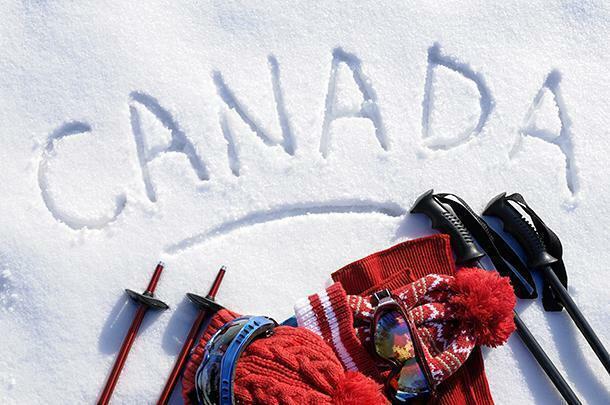 Deciding to move back to Canada on a more permanent basis threw up some immediate challenges. For the past 8 months, we’ve been squatting in my old bedroom (which is now my Mom’s den). It did the trick as a temporary place to sleep but we need our own space – even accidental minimalists need somewhere to keep their things. My parents also have two older cats, who wouldn’t be impressed having Buddy and Orange as new roommates. Looking at real estate listings and rental apartments made me physically ill. The prospect of going back into debt, looking for jobs working for someone else, commuting – all the things we worked so hard to leave behind were all suddenly rushing back at us. There were practical issues too. My father’s disease is a mysterious one. He can be perfectly fine one second and incapacitated the next. He needs someone around all the time. How could we help if we were living across town? It sounds obvious now, but it took a few days to come to me – what if we lived in a motorhome in my parents’ yard? They had always had motorhomes themselves; it’s in part what sparked the original motorhome adventure. They have hookups outside already, a big, flat driveway, and even a barn built to house their former motorhome. We would be close by when they need us but we could still all have our own space. Plus, Andrew and I would be mobile, for small trips, when my parents were feeling ok to be on their own. Our first crazy idea was ‘Let’s ship Amelia to Canada.’ That lasted only a few days, but not for the reason we expected. The cost to ship Amelia here was much more reasonable than we thought – however, the response from Transport Canada was a big, fat ‘Nope.’ If we were temporary residents or tourists, we could bring Amelia in (provided she left again with us) or if she was more than 15-years-old (then she’d be considered a classic) she could be imported. Otherwise, she doesn’t meet Canadian safety regulations. Sadly, we have to say goodbye to Amelia. So, one year after we began our search for Amelia in Belgium, we began searching for a motorhome in Canada, complete with a whole new set of challenges. 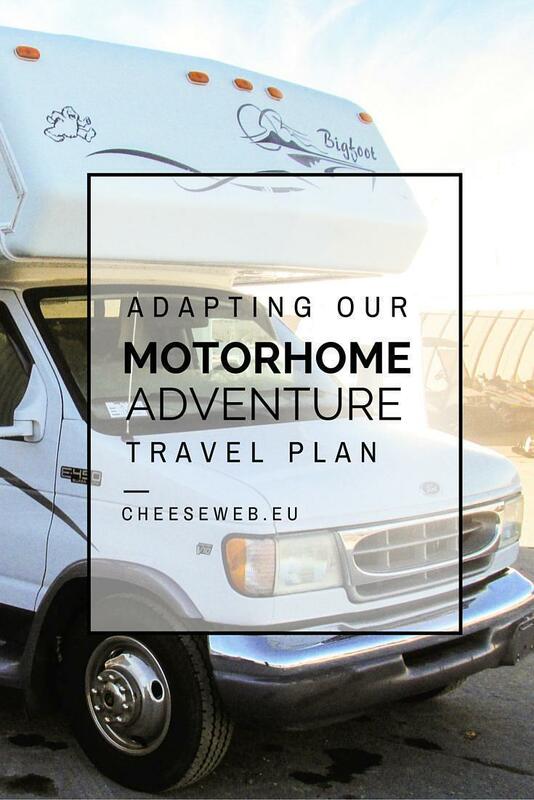 The biggest challenge was time – we wanted to have a motorhome available for when the cats came back from Spain and we already had our tickets booked for early April. We had only six weeks to find something suitable. This may sound reasonable but it leads to our second challenge – timing. 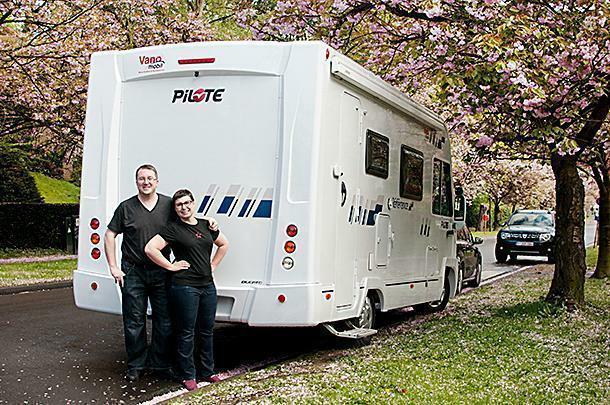 As most of Canada is still snowed-in in February and early March, people aren’t really thinking about buying and selling motorhomes. We also discovered the popularity of motorhomes has gone down over the years as people turned more to trailers. We just weren’t seeing any options in New Brunswick at all. Our final challenges were budget and suitability. The whole point of our motorhome lifestyle was to live simply, without debt, and as little impact as possible, while still having the freedom to travel. The motorhomes we were seeing in our budget were old and enormous. Despite being back in North America, where frankly everything is bigger, we still wanted to stay as true to our Slow Travel philosophy as possible. The one concession to size was we wanted enough room for my parents should my Dad feel up to spending a weekend away with us. With few options available nearby, we decided a road trip was in order. 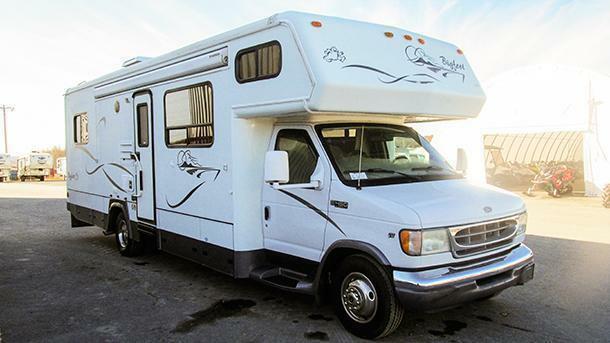 We researched online and found a number of potential motorhomes in and around Quebec City – an 8-hour drive from Saint John. We planned a 2-night trip and hit the road. After a number of disappointments, a lot of kilometers logged, and a bit of haggling, we found our new (motor)home. Yeti is a Bigfoot, so her name was a given. She is 14-years-old and built here in Canada (which we love). She is fully isolated for winter, which will come in very handy here, and she has more than enough room for us, our furry family, and my parents if they want to join us. 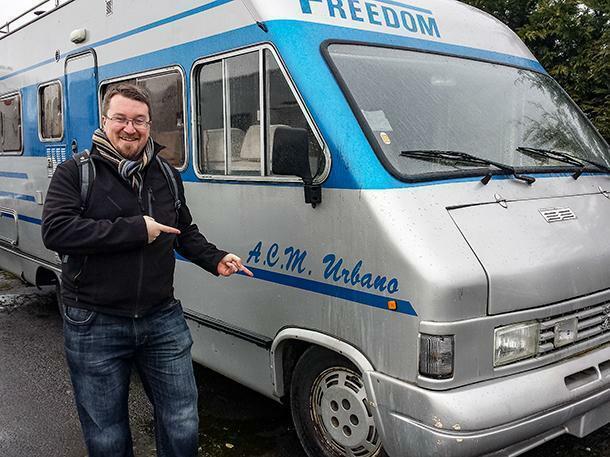 So we have our new home, complete with a set of wheels, but what does this mean for our travels and CheeseWeb? As far as CheeseWeb goes, if you’ve been following us for a while, you know the website is always growing and evolving. Back in 2014, we said “For the foreseeable future, you won’t see too many changes. We’re still committed to bringing you our honest reviews of what to do, see, and eat, in Belgium and beyond.” That is still the case – the beyond is just a bit farther away than we expected. As you’ve probably noticed, our CheeseWeb family has grown over the past few years. Our amazing Adi is based in Germany, and has been contributing articles from Germany and beyond. She has plenty more European Adventures planned to share with you. In Belgium, Monika has been an incredible resource for family-friendly restaurant, museum, and hotel reviews, with lots more on the way. Adrian has been contributing articles about cycling and getting the most out of the rail system. He’s got an even bigger cycling trip in the works this spring and we can’t wait for him to share it with us. In addition to our regular writers, we’re always on the lookout for other great contributors to bring you slow travel stories from around the globe. We are making tentative plans to discover the neighbouring provinces and states while remaining flexible enough to cope with my father’s disease. We’re not pulling more distant travels off the table either, for one or both of us, as opportunities arise. We’ve learned to play things by ear. We’re ready to adapt, amend, and adjust as necessary. We hope you’ll join us on the continuing journey and adapt with us too.